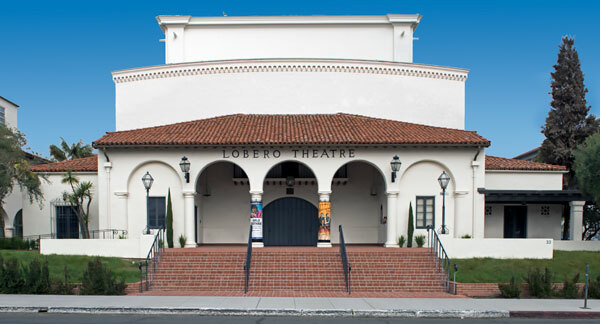 View of deteriorating colonial-style Lobero theater. 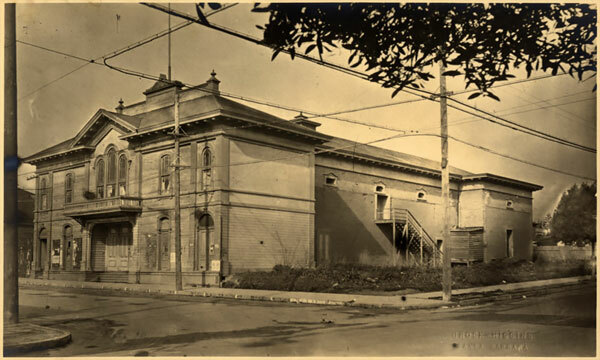 The former school house became an opera house, established by Jose Lobero in 1873. It was rebuilt Mediterranean-style in 1924. We were unable to locate a California historical marker for the Old Lobero Theatre.